Kelcey Ayer of Los Angeles-based Local Natives says his solo album is something he could never have made with Local Natives; because it’s so personal and close to him, it only made sense he develop it on his own. 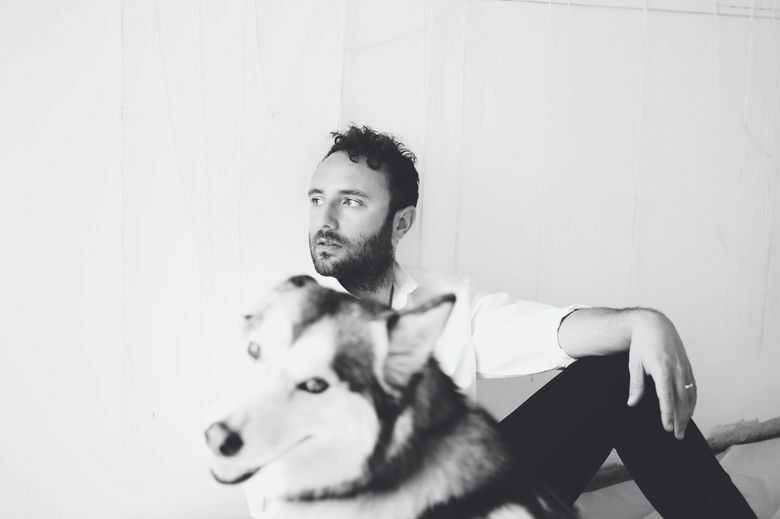 With the gloomy clouds and endless days of rain set to roll into Seattle, a hopeless romantic may want to check out Jaws of Love’s debut solo album “Tasha Sits Close to the Piano” from Local Natives’ Kelcey Ayer. A California native, Ayer, who plays at Barboza on Nov. 12, says he’s always been drawn toward the gloomier weather. For that reason he moved to San Francisco from San Clemente after high school. “I just wanted to be inside listening to music and watching movies,” he says. 8 p.m. Sunday, Nov. 12, Barboza, 925 E. Pike St., Seattle; $16-$18 (thebarboza.com). It’s a connection that can be made between Seattle culture and the dark vibe Ayer’s new album explores. Where Los Angeles-based Local Natives is upbeat and playful, Jaws of Love, Ayer’s solo project, is mature and serious. His solo album is drenched in lyrics riddled with depth about Ayer’s personal experience with love. His smooth and painfully genuine voice fills the space between the different slow journeys the piano and synth embrace. Ayer says his solo album is something he could never have made with Local Natives. Because it’s so personal and close to him, it only made sense he develop it on his own, he said. The album is a therapeutic and reflective journey on his own reality and perspective on love, specifically his relationship with his wife. His music highlights the fact that love can be difficult at times, but getting through those experiences can make a relationship that much stronger. While Ayer said he thrives on the fact that Jaws of Love allows him to explore himself, he hopes fans can use his music as a tool; whether it’s for getting through a hard breakup or learning about the trials of making relationships work. “If the listener can make any connection, whether that’s ‘oh this synth tone makes me feel something incredible’ or ‘one word makes me feel something,’ I think that’s just as strong and as important as somebody getting whatever the message I was trying to get across,” says Ayer. An experience in high school reminds Ayer of this philosophy on music. After a girl left him brokenhearted, the music from the Deftones album “White Pony” was there to help him through the somber time. “Music can be used to help in so many different ways, so if anyone finds any use out of this record that would be amazing,” he says.